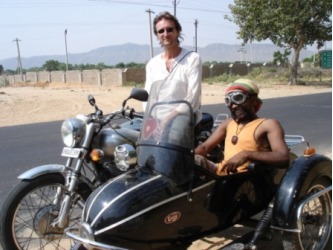 Amongst the grandeur of Rajasthan, discover a unique gem - Pushkar. A city of Pilgrimage from time immemorial with over 500 temples and ghats, Pushkar offers a legacy of timeless architectural heritage. 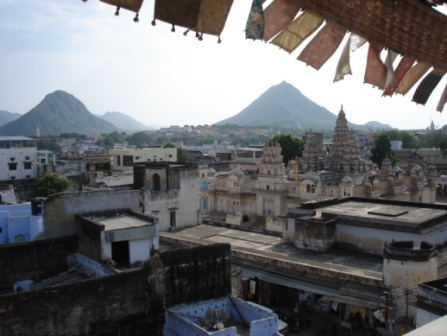 Pushkar radiates an ambience of peace and spirituality that casts a lure to visit again and again. Pushkar, nestled amidst the Aravalli Mountains retains the charm and aura of shanti and tranquility. A visit here will leave you with beautiful memories that will follow you a lifetime. The Pushkar Fair (October/November) is the largest camel and horse fair in the world. -Pushkar Lake is the site of the holiest lake in the country. -52 bathing ghats, which are linked to the lunar calendar, enclose the lake, each has its own miraculous qualities and powers of healing. -This city of temples has over 500 temples built over different eras with varied architectural styles. -The ‘rose garden of Rajasthan’- the essence of the famous Pushkar rose is exported the world over. -The most varied terrain in Rajasthan with sand, rock, hills, vegetation and lakes is ideal for adventure and safari activities. 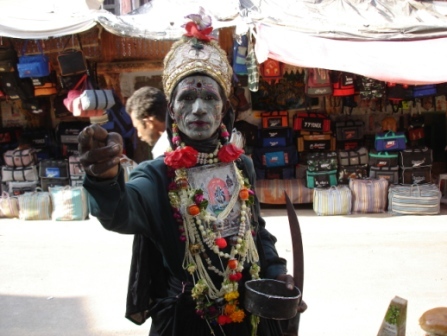 -Endless fairs and festivals occur in Pushkar- especially on the new and full moon days. -Pushkar area offers an opportunity to visit local gipsy villages still very free of commercialization. This well-known festival marked by the largest participation of all the festivals of Rajasthan, is an important pilgrimage as well as the venue of a mammoth cattle fair. Bazaars, auctions, circus shows, music and sports are the highlight of this amazing annual event. Each year, up to 200,000 people come to Pushkar for the Camel Fair, bringing with them some 50,000 camels and cattle for several days of pilgrimage, horse dealing, camel racing and colorful festivities. The Rajasthan tourist office has promoted the fair as an international attraction by adding Rajasthan dance programs and other cultural events and by putting up a huge tent city for the Indian visitors. 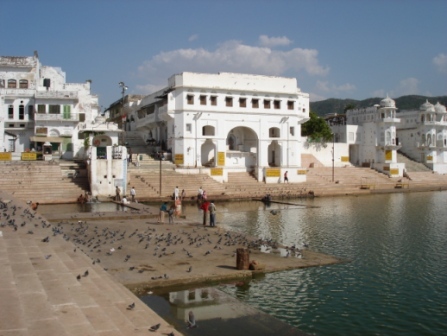 Located just 11 km from Ajmer, the holy lake of Pushkar is believed to have been created by Lord Brahma himself. 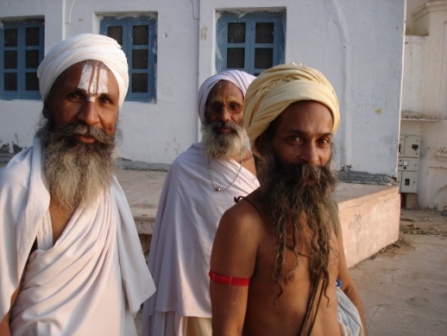 Devout Hindus believe that it is essential to visit Pushkar at least once in their lifetime. No pilgrimage is considered complete without a dip in the holy Pushkar Lake. The only temple in the country that is dedicated to Brahma is to be found here, at the end of the bazaar. Air -The nearest airport to Pushkar is in Jaipur. The Jaipur Airport is well connected to all the major cities which include Delhi, Mumbai, Calcutta, Jodhpur and Udaipur. Bus - Rajasthan Roadways run reasonably comfortable buses from Jaipur. There are buses from Jaipur to Ajmer every 15 minutes, some nonstop. The roads are very good(new highway), and the ride from Jaipur takes around 3 to get to Ajmer. 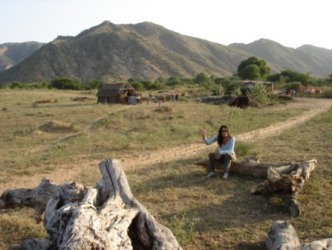 Pushkar is a relatively small town and easy enough to get around on foot. A bicycle is the best way to get around; motor bikes can be easily arranged also. 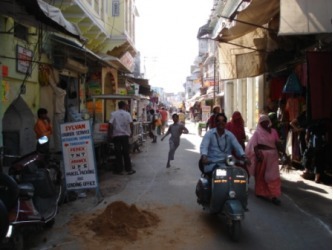 Pushkar’s main bazaar is a tangle of narrow lanes lined with an assortment of interesting small shops. Particularly good buys include silver and beaded jewellery, embroidered fabrics, bed and cushion covers, Rajasthani puppets and fusion music. It’s also great place to buy books. There's is an excellent range of second hand novels in various languages available.